Mr. DJ Motive is one of the biggest producers from the hip hop and chillout music community in Japan. Here, he shows his superiority once again with two jazzy lounge tunes. On ‘Smile’ we get more of a bar- oriented affair with piano loops that glitch over top of a sub-harmonic bassline. As with his previous ‘Que Que’ release that had Ross Couch toughen things up for the dance floor on remix duties, this E.P. sees the likes of Greece’s Phaze Dee rework the original into a tech-infused jazzy house-a-thon. 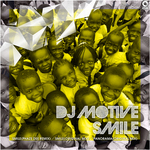 On top of ‘Smile’, DJ Motive has delivered another track ‘Panorama’ to help fill out the E.P. Inspired by cinematic music, this could be straight from a car ride interlude to a beach scene. Mr. DJ Motive is one of the biggest producers from the hip hop and chillout music community in Japan. Here, he shows his superiority once again with two jazzy lounge tunes. On ‘Smile’ we get more of a bar-oriented affair with piano loops that glitch over top of a sub-harmonic bassline. As with his previous ‘Que Que’ release that had Ross Couch toughen things up for the dance floor on remix duties, this E.P. sees the likes of Greece’s Phaze Dee rework the original into a tech-infused jazzy house-a-thon. Phaze Dee is a DJ and producer who has born and raised in the small town of Patras, which is located in the south-west coastal region of Greece. He has been producing remixes and original tracks for such imprints as LIQUID DEEP, LARGE MUSIC, MILK & SUGAR, RHEMI MUSIC and many others. His music style can be described as a blend of deep and soulful house that uses warm synth-laden chords chords over deep hypnotic grooves. On top of ‘Smile’, DJ Motive has delivered another track ‘Panorama’ to help fill out the E.P. Inspired by cinematic music, this could be straight from a car ride interlude to a beach scene. DJ Motive’s passion to music is never ending and he will continue to produce top quality, genre-defining tunes! A short two and a half years has passed since Hideout last released his second single on 19BOX; the ‘Pray 4 Japan EP’. That’s not to say he hasn’t been busy though! He’s frequently collaborated with DJ 19 as Hot Station and has also remixed Genuine Fakes and Japain as well. The wait for is third single, ‘Remember’ is now over! The Original Mix has a laid back house flavour with a Latin vibe. It has already been featured on our “WMC 2014 Sampler” before its release as a single. 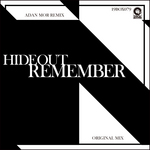 Adan Mor goes straight for broke with his driving and techy house remix. Whether you’re into techno, house or both, you should find immediate appeal in this release. Grab it while it’s hot! A short two and a half years has passed since Hideout last released his second single on 19BOX; the ‘Pray 4 Japan EP’. That’s not to say he hasn’t been busy though! He’s frequently collaborated with DJ 19 as Hot Station and has also remixed Genuine Fakes and Japain as well. The wait for is third single, ‘Remember’ is now over! The Original Mix has a laid back house flavour with a Latin vibe. It has already been featured on our “WMC 2014 Sampler” before its release as a single. 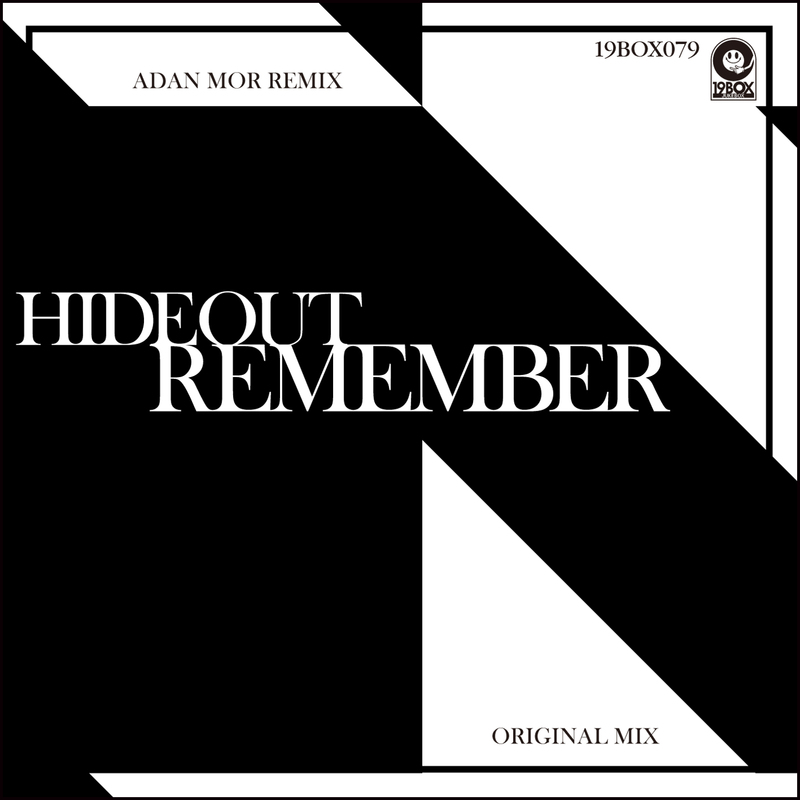 Adan Mor goes straight for broke with his driving and techy house remix. Adalberto Moreno, AKA Adan Mor hails from Sao Paulo, Brazil. He has released tracks through labels such as PERFEKT GROOVE, STRAIGHT UP! TILES RECORDS, SUICIDE ROBOT, AMIGOS RECORDINGS, RHYTHM ROYAL RECORDS, MIAMI UNDERGROUND RECORDS and many others. Whether you’re into techno, house or both, you should find immediate appeal in this release. Grab it while it’s hot!